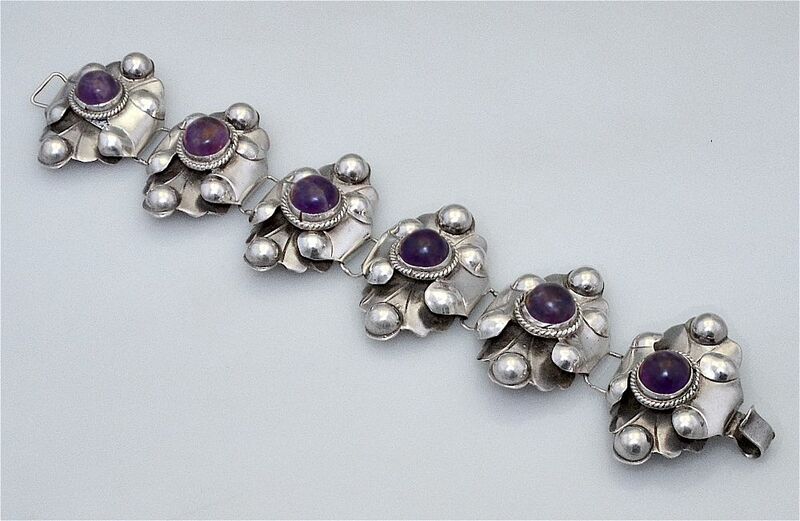 This lovely Mexican silver and amethyst bracelet was made in the 1940s. It composes 6 shield shaped sections, each shield being decorated with 6 half domes and with folded sides and centrally set with an amethyst cabochon. The fastener is stamped "Silver Mexico".